The Trails is located at the corner of Clear Creek Rd NW & Greaves Way in Silverdale. This new Lifestyle Center should be in full swing by Christmas 2015, featuring over 23 tenants including Best Buy, Forever 21, Total Wine, Homegoods, Old Navy and over 7 restaurants. 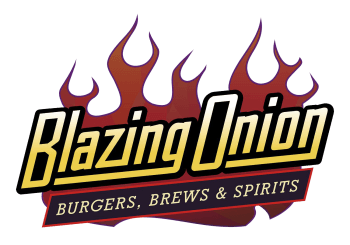 Come explore this unique and beautiful place and then stop by Blazing Onion for a great gourmet burger & perhaps a whiskey flight! While we still have plenty of TV's for the big game, we have taken a different turn at Silverdale building a Whiskey Bar. Our food menu still features over 25 unique gourmet burgers including a meatloaf burger, a buffalo burger and a wild boar burger. Do you have a favorite combination, it's probably on the menu. We insist on high-quality ingredients such as Tillamook cheese, thick-peppered bacon, homemade burger sauces, locally baked buns, fresh produce and ALL Natural ground chuck. The Whiskey Bar is awesome and unique compared to all the other Blazing Onion's. Whether you're already a whiskey expert or just learning, we will soon become your favorite hangout. WIth over 200 Whiskey, Bourbon and Scotches, we will surely carrry your favorite or help you discover a new one. Be sure to come in and check out the Whiskey Bar featuring over 200 whiskeys, scotches and bourbons.